It’s tempting to build a rickety but traversable bridge between the gargantuan sounds of Black Bombaim and White Manna, given the seemingly opposite, far-ends of the color spectrum where each band has nominally set up camp. But this is no ceremony of opposites – and neither band seems even slightly interesting in limiting themselves any particularly slivers of color, shape or sound. In the overall approach of both bands, there’s more than a few threads connecting the chasm between absolute darkness and pure light – sonic rejections of duality abound. Black Bombaim’s absolutely epic excursions may be born out of a dark pool of light, though it immediately becomes clear that the band is doing more than simply throwing down the intergalactic gauntlet on “Titans,” a double LP consisting of four, ferocious, side-length excursions hurtling towards space-rock bliss. Indeed, these Portgugeuse pioneers appear to be throwing down not just the gauntlet, but the helmet, the saber and the sword as well.”Titans” is the sound of an intergalactic sprawl, with every swirling shade of the known universe used to almost overwhelming effect. Rock-solid riffs, long, time-bending improvisations, those woobly-boobly synths – all present and accounted for, of course, but they’ve brought with them some unexpected yet very welcome guests. Opening opus “A” (followed, naturally, symbolically or both, by the equally epic “B,” “C,” and “D”) begins for us in a place of cozy, caveman comfort. A genuinely Geezer-esque bass line announces the identifiable core of “Titans” journey – the universal “om” or pranava, “that which is sounded out loudly.” This comfort lasts hardly even a definable moment before an eruption of effects-laden guitar roars to life, threatening to tear the listener apart via the grip of trembling, tremolo tentacles. Salvation is offered by some superb, propulsive drumming, offering some sense of equilibrium – but these gravitational guardrails soon come undone as well, giving Black Bombaim an exciting and explosive sound. The album’s only vocal performance – a vicious, bile-spewing chanting of the Plutonian priests, every bit as dead as it is alive – soon demands that guitar, bass and drums to live as one, defiantly daring the listener to complete the journey. Our ticket is fully punched – no return trip necessary. 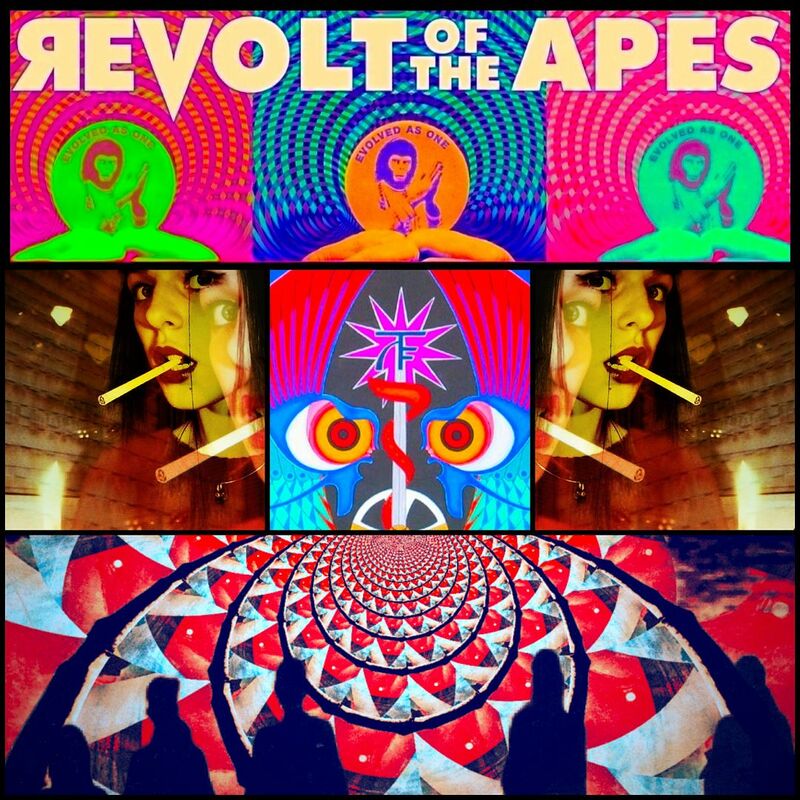 Somewhat closer to home, then, exists the trip of White Manna, hailing from the visionary state of California. Given the sun-kissed evergreens at dawn that grace the cover of their self-titled Holy Mountain debut, you’d be forgiven for initially considering White Manna to be more earthbound than chaotically cosmic. Yet if the title of the band’s album opener “Acid Head” isn’t an instant eye-opener, its parade of heavenly, hypnotic heaviness should render any listener’s third-eye (ear?) squeegeed quite cleanly. 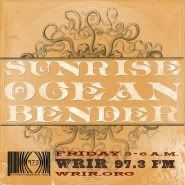 “Rise, rise – won’t you rise?” goes the song’s refrain, but the question seems rhetorical, at least when directed toward the band as a whole. White Manna seem to levitate from the ground easily, nearly effortlessly, resulting in an album where one instant classic is only followed by another. 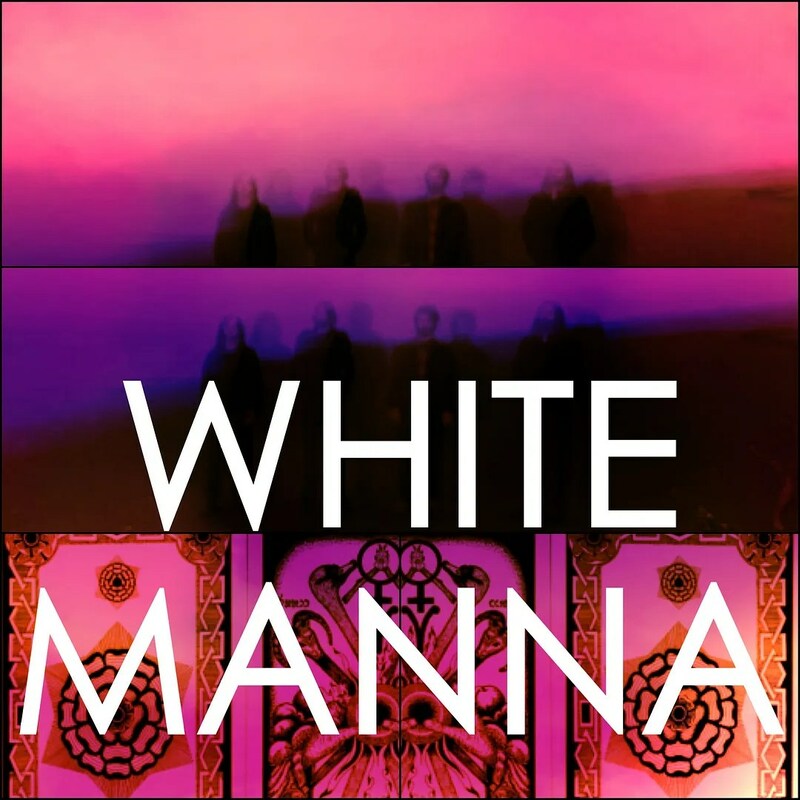 At their most expansive (most notably, on the penultimate track “Don’t Gun Us Down”), White Manna shows the ability to match any band in the race toward space – outer limits be damned, White Manna is an energetic riff-rocket hurtling toward the stars powered by pure, unrefined fuzz-fuel. To ours ears, however, the surprise lies the natural, unforced projection of the mantra-like vocal lines that ultimately allow the band to more than live up to its illuminated billing. On “Keep Your Lantern Burning,” the vocals take their place as the sonic serpents swirling around the band’s crushing caduceus of ritual space-throb. Here’s to the white light of White Manna, and that hopes that it never goes out. 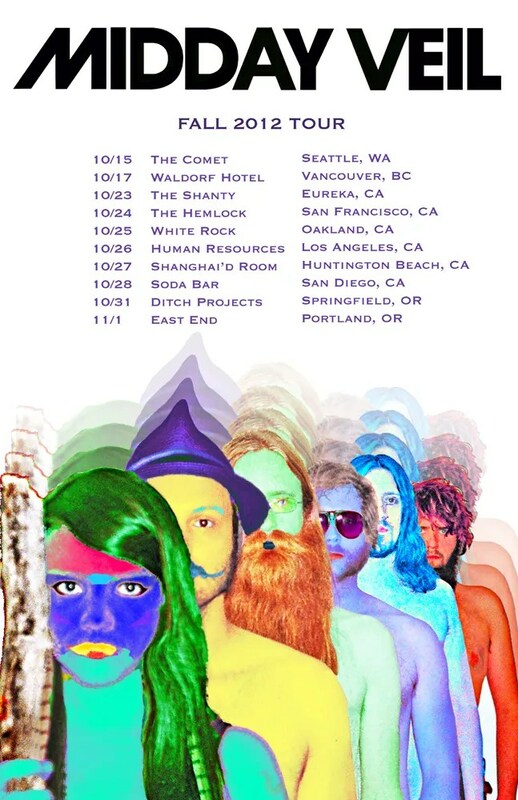 White Manna have now embarked on a Fall Tour with the translinguistic space-cadets of Midday Veil. 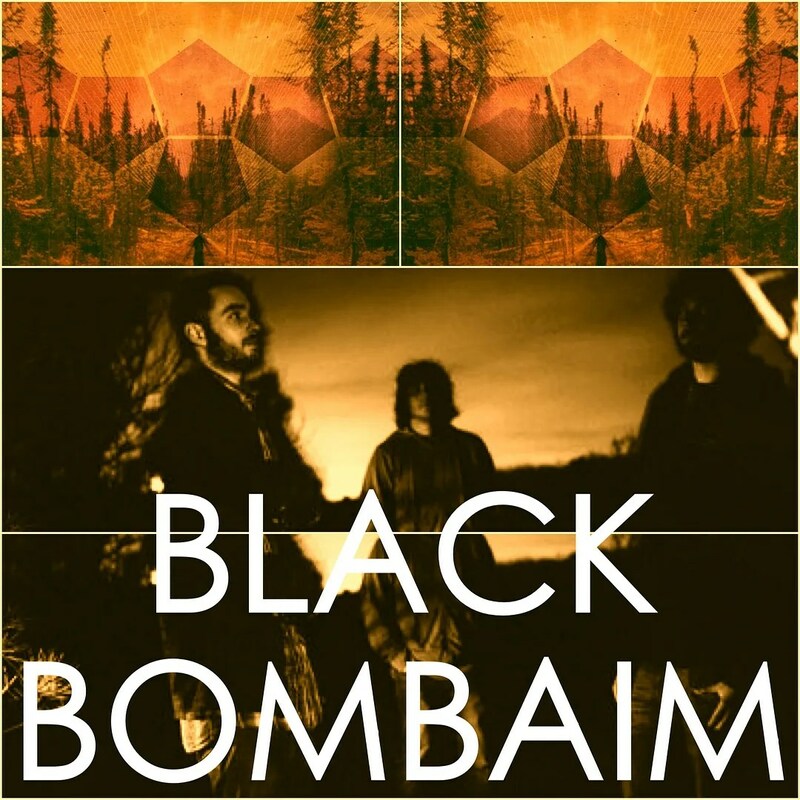 Black Bombaim‘s upcoming efforts include a split release with the inimitable Gnod via Cardinal Fuzz Records.